The Click 2 focuses on a massive amount of audio volume in a coin-sized form factor. The Click 2 addresses an issue that is prevalent with the portable wireless speakers — an extremely compact form factor that can deliver audio with high volume. When was the last time you felt the need for additional volume from your smartphone’s speaker? While sharing that standup piece on YouTube with your friends or pumping the party at a small picnic, your smartphone is simply inefficient when it comes to outdoors. 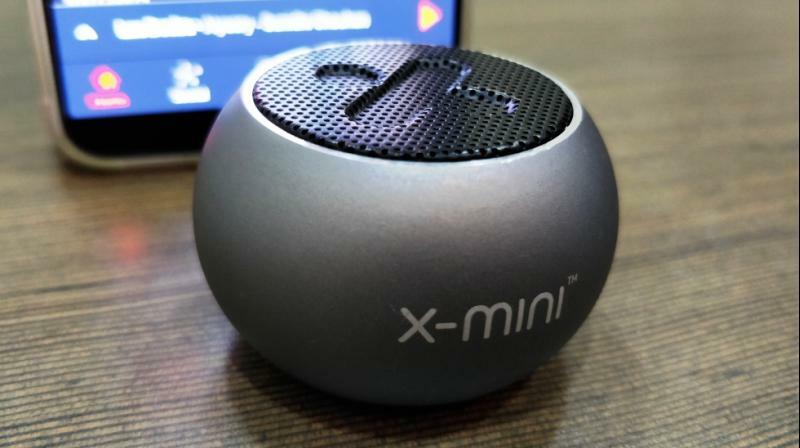 Unless technology allows augmenting powerhouse-class audio from tiny smartphone speakers, the only solution left is to carry along some portable wireless speakers. A few decent ones are available in the market for as low as Rs 1,000, while ones that try to appease audiophiles command a premium. However, they aren’t as portable as they claim — even the most compact ones are big enough to lie in a corner of a backpack. But what if there was a wireless speaker that you could carry around in your shirt pocket? 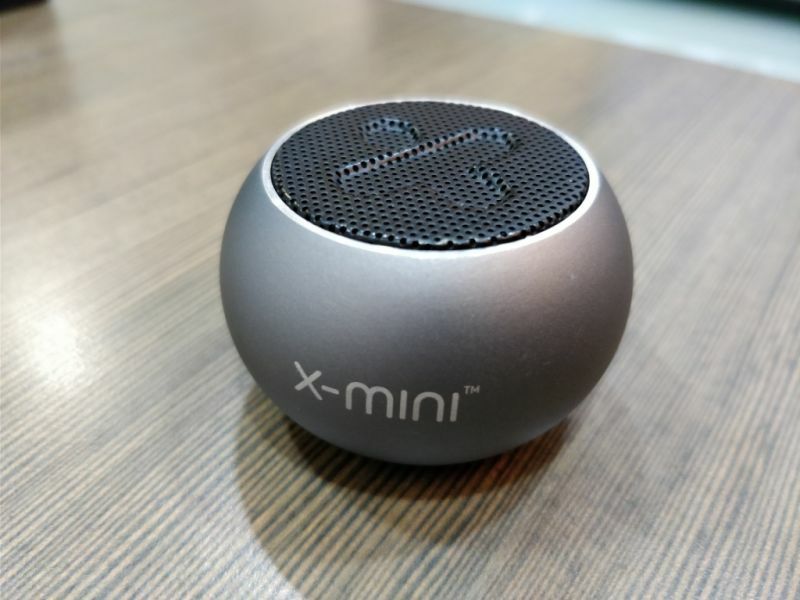 The X-mini Click 2 exists primarily for its form factor. As stated, it resembles a tiny moisturiser cream container. You may assume we are exaggerating, but see the Click 2 in person and you will believe its really tiny in size. 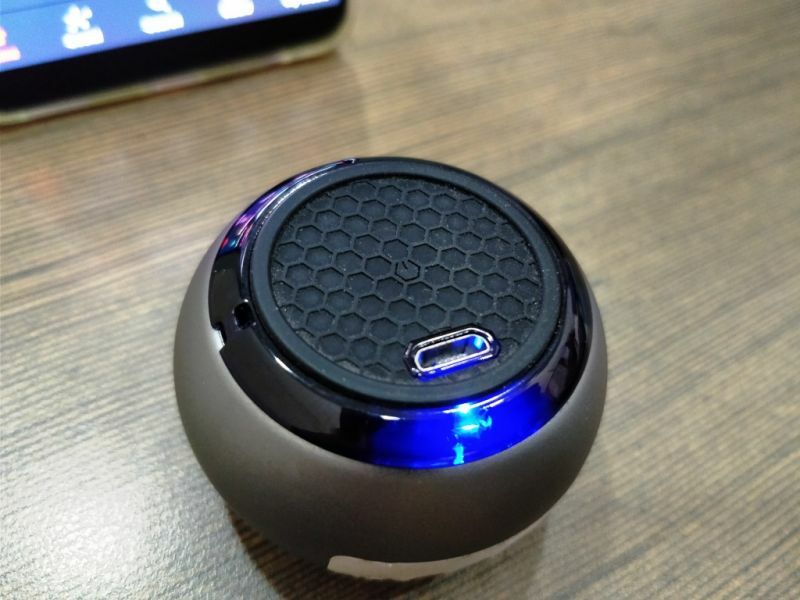 The little 85g speaker measures just 50mm in diameter and are 30.5mm tall, which is small enough slip into any of your pockets. However, the small size doesn’t mean that you get a compromised build quality or performance. The Click 2's shell is completely made using a matte-finished aluminium and sports a base made of a grippy rubber to keep it firm even on slippery surfaces. The base houses a micro USB port and a single multi-purpose button that features power, shutter and volume controls (more on that latter). There’s also a tiny LED indicator to notify you of battery levels and connection status. A tiny provision for a lanyard is also given so you can secure it around your wrist or use a carabiner assembly to hang it around your haversack. Lastly, The top is dominated by a metallic mesh that protects the speaker drivers. The overall build quality is solid and you will see 'quality' spelt out on almost every centimetre of the product. Sadly, the speaker does not seem to be waterproof or IPX certified. 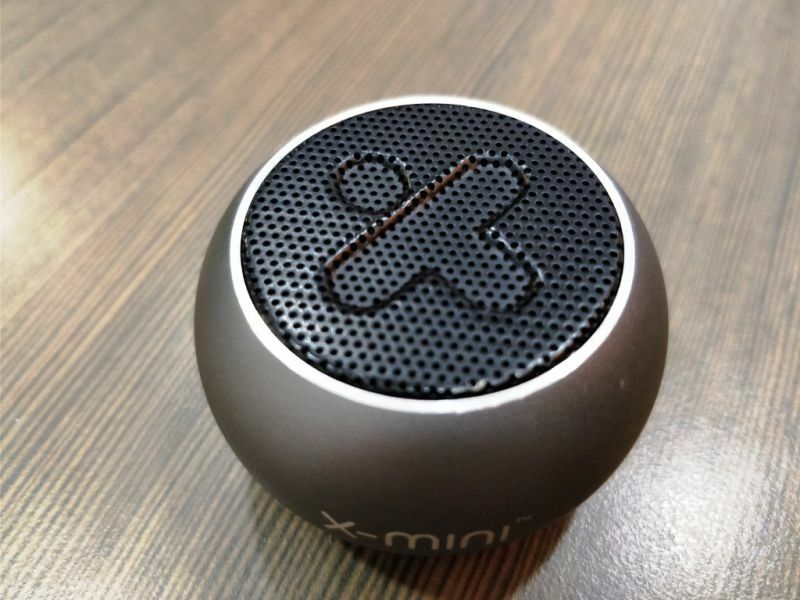 The speaker comes along with a bundled 5-inch micro USB cable for charging and a manual. A small carry pouch or protective case from the company would have been good given the price the company demands on this midget. The primary concern for every speaker buyer is performance and audio volume. The Click 2 consists of a single 36mm driver that can render a total audio output of 3 watts. The speaker claims to produce a frequency response of 160Hz to 16KHz. However, don’t be fooled by its tiny size. The Click 2 is a seriously pocket powerhouse. It can play audio with enough volume to sustain a mini party indoors. While outdoors, it’s good enough to share videos or movies with multiple viewers around you. If you are outdoors and loud volumes from your smartphone, tablet or laptop are your primary necessity, then the Click 2 will suit your needs. The device is almost a 'no-hindrance' when it comes to portability. However, don’t expect pristine audio performance from the Click 2 — its loud, but not the best in audio quality. Tiny speakers cannot perform best given the size of the drivers and the space it has to move the air behind it. The audio quality can be described at best as flat or mediocre — the mids and highs are above average, but the speaker lacks proper bass. The bass (lows) delivery is sufficient for pleasurable slow or country music, while the highs and lows are good enough for casual pop or movie binging. We cannot complain about the bass delivery simply because of the size of the product. Expecting better bass would simply pressurise the company to increase the size of the unit. The Click 2 is especially aimed towards high portability and loud clear audio volumes. Pump up the volume to the highest levels and you will start noticing a little distortion — the audio performance goes for a bit of a toss where you can hear a bit of crackling sounds. However, this is only noticeable when playing a certain genre of audio, such as rock or heavy metal in full volume — this is usually a problem for tiny and single driver speakers. 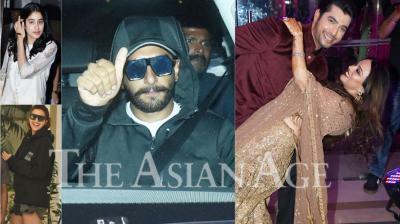 To sum it up, the speaker performs best with classic, country and slow rock, and also movies and voice calls. As for connectivity, the Click 2 relies on Bluetooth v4.2 for pairing up with any compatible device. An AUX port would have been a value-added addition to the speaker, but then it would be demanding a lot from this tiny one. The Bluetooth connectivity also allows for connecting up to two devices simultaneously. Also, there's something more than most new speakers are incorporating — stereo mode. While this speaker is definitely a single driver with mono output, you can pair two Click 2 speakers to combine with a stereo setup. All you need to do is put both into pairing mode and leave them nearby and they will do the rest between them. Another feature that most Bluetooth speakers do not have — input mode. 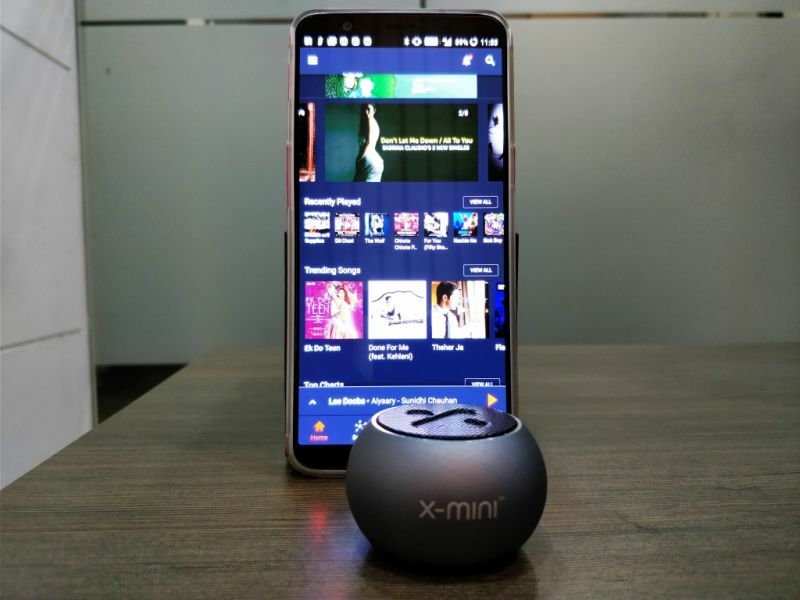 Given the size of the speaker (pocketable) X-mini has thrown in a Bluetooth input mode to allow the speaker to help you control the shutter button on your smartphone camera — a great feature for those who click group photos and need to be in it too. The Click 2 can be used as a wireless shutter release button from a distance of around 5 - 10 metres. Problems or shortfalls of the unit we witnessed are as follows. The single multi-functional switch seems a bit incomplete. As usual with most wireless earphones, a single button helps with play/pause, changing tracks, redialing the last called number or even pulling up the smartphone assistant. But this one does not have anything in common. All it can do is power up or down, pair devices, click photos and increase the volume. Increasing the volume is done by continuously clicking on the button, which is a bit weird as you have to head to the smartphone to lower the volume when needed. X-mini could have thrown in an additional button for these controls. The Click 2 is fuelled by an internal 400mAh battery, which is claimed to keep alive the Click 2 for approximately six hours. Our test revealed that the Click 2 can perform continuously for almost 5 to 5.5 hours, but it completely depends on usage. Continuous loud volumes or keeping the speaker at further distances from the phone eats up into the battery life. Sadly, the unit is also slow in topping up the battery — it took us around 2 hours to get a full charge using a standard 1A charger. The Click 2 addresses the issue of portability with an extremely compact form factor that can deliver above average audio with a surprisingly high volume. However, don’t expect the Click 2 to appease your inner audiophile — the audio quality is not as pristine as you would want it to be. You should take a demo of the speaker before you buy it. The speaker is a no-brainer — simply connect and enjoy, which probably is the best in our thinking. Considering the price of Rs 2,099, it does sound too steep for the amount of speaker you get. However, once you turn on this beastly midget, you will definitely find that the price it demands is completely justified. 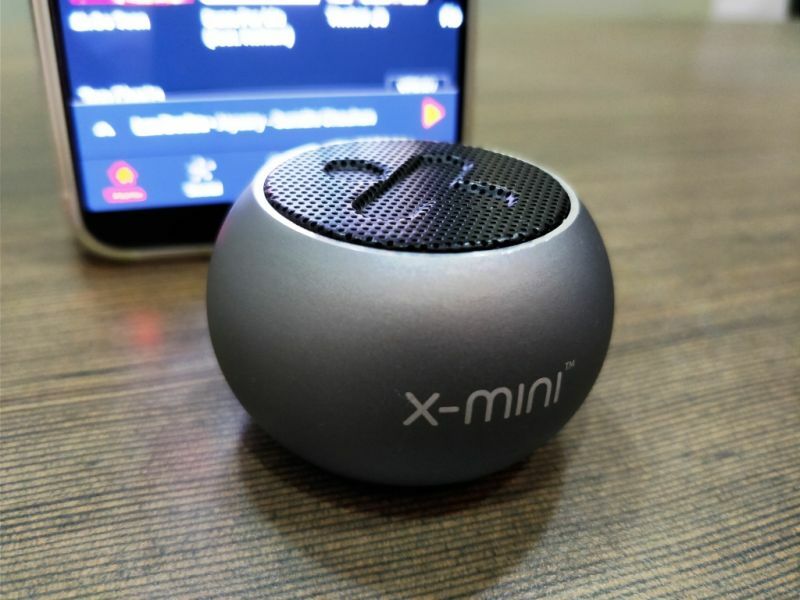 The X-mini is a perfect travel gadget and one of the best gifting options.